The Toyota Cheetahs are out of the Guinness PRO14 playoff race after they suffered a disappointing 35-17 defeat against the in-form Glasgow Warriors, while the Isuzu Southern Kings went down 33-19 against Ulster. The matches marked the last tour games for the teams, who now have a home stretch of three matches in South Africa, which will wrap up their 2018/19 campaigns. The Toyota Cheetahs dropped out of the Guinness PRO14 playoff race on Saturday after they suffered a 35-17 defeat against the Glasgow Warriors in Scotland in their final tour game of the season. The Free Staters entered the clash knowing that they needed to win all four of their remaining pool matches, preferably with bonus points, to have a shot at repeating their feat from last season of reaching the top six. But the Warriors’ effective display was enough to secure them a bonus-point victory and keep them in the top spot on the Conference A log. The hosts produced a well-balanced performance in the first half and they did well to make a few vital line breaks, which allowed them to apply consistent pressure on the Toyota Cheetahs. Glasgow showed their intent early on with a try by Callum Gibbins, but the Free Staters’ William Small-Smith brushed off a defender minutes later to score their first try in the 14th minute. The Glasgow Warriors responded with back-to-back tries by Kyle Steyn and Rory Hughes to stretch their lead to 21-5. The Toyota Cheetahs were reduced to 14 men shortly before halftime as Charles Marais infringed in a scrum, but they managed to shut out the opposition going into the break. The visitors earned the first points in the second half as Joseph Dweba crashed over the tryline from a powerful run to trail 21-12. But they were unable to stop the hard-running home side from earning their bonus point, as Stafford McDowall touched down and then Scott Cummings broke through for their fifth try with five minutes to play. The Toyota Cheetahs, however, had the final say in the match as Small-Smith scored his second try from a turnover close to the Glasgow Warriors’ tryline, which saw them go down 35-17. Glasgow Warriors 35 (19) – Tries: Callum Gibbins, Kyle Steyn, Rory Hughes, Stafford McDowall, Scott Cummings. Conversions: Pete Horne (3), Adam Hastings (2). Toyota Cheetahs 17 (5) – Tries: William Small-Smith (2), Joseph Dweba. Conversion: Tian Schoeman. Unforced errors and ill-discipline cost the Isuzu Southern Kings dearly in their Guinness PRO14 clash against Ulster in Ireland on Saturday as they went down 33-19 despite showing their fighting spirit until the final whistle. Ulster outscored the Isuzu Southern Kings five tries to three, with their last try being scored while the visitors were down to 13 men after Tertius Kruger received a red card and Alandre van Rooyen a yellow card for dangerous tackles in the 67th minute. Handling errors close to the tryline on three occasions also cost the men from the Eastern Cape possible tries, which could have resulted in a vastly different outcome in their final tour game of the season. The first half was thrilling as both teams played high-tempo rugby and showed patience on attack, which saw an exciting five tries being scored. Ulster struck first in the seventh minute thanks to a powerful dash by Stuart McCloskey on the outside, and Rob Lyttle added their second try in the 14th minute after gathering a well-timed pass out wide. This earned them an encouraging 14-0 lead. The Isuzu Southern Kings, however, fought back strongly with back-to-back tries by Yaw Penxe and Ulrich Beyers within five minutes thanks to their composure on attack and opportunism, which reduced their deficit to two points. With four minutes left in the first half, Springbok loose forward Marcell Coetzee nudged Ulster into a 21-12 lead when he received the ball from a ruck and forced his way through the defence for their third try. Ulster added their bonus-point try eight minutes into the second half compliments of Robert Balacoune, who used his raw pace to clear the tryline in the corner. But the Isuzu Southern Kings hit back with a well-timed pick-and-go by Michael Willemse minutes later to trail 28-19. The visitors, however, were dealt a double blow in the 67th minute as Kruger and Van Rooyen were sent to the sin-bin, and Ulster capitalised on this to score their fifth try from a rolling maul for the bonus-point 33-19 victory. 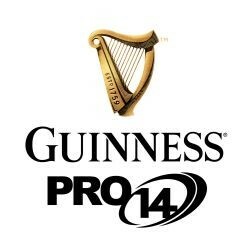 Ulster 33 (21) – Tries: Stuart McCloskey, Rob Lyttle, Marcell Coetzee, Robert Balacoune, John Andrew. Conversions: Billy Burns (3), John Cooney. Isuzu Southern Kings 19 (12) – Tries: Yaw Penxe, Ulrich Beyers, Michael Willemse. Conversions: Bader Pretorius (2).